Tufa towers in Mono Lake. 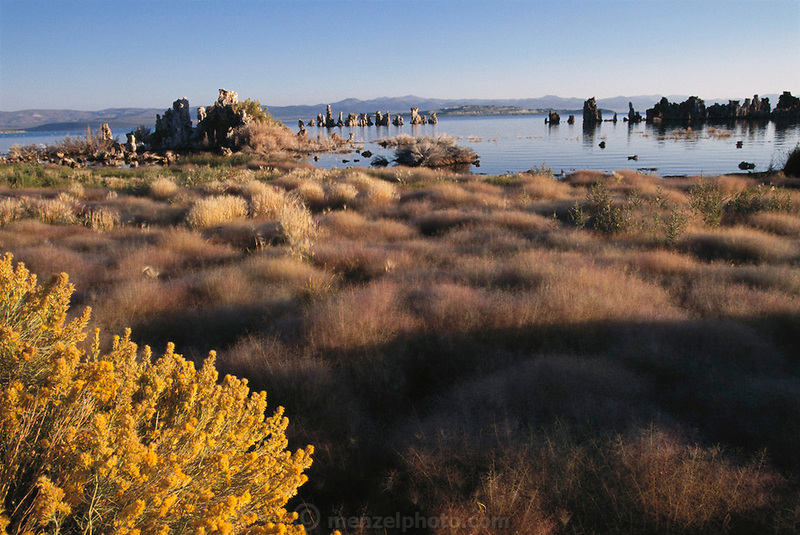 Mono Lake lies near the town of Lee Vining. It is at least 700,000 years old and one of the oldest continuously existing lakes on the continent. Tufa towers (photographed) are made from calcium and carbonate combine to form limestone, which builds up over time around the lake bottom spring openings. Declining lake levels have exposed the tufa towers we see today. Some of the tufa towers are up to 30 feet high. Route 395: Eastern Sierra Nevada Mountains of California.